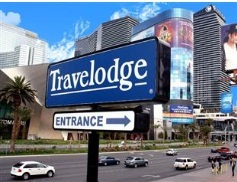 Travel Lodge Center Strip is officially the closest hotel room to the Las Vegas Strip. 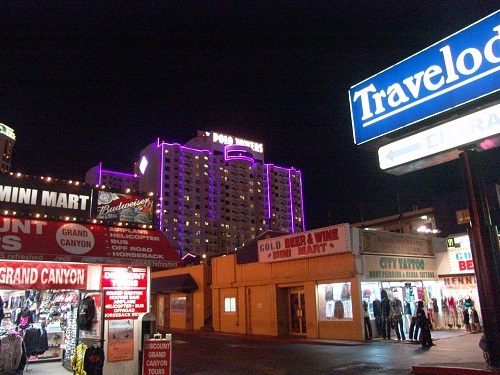 There are similar rooms as close to the strip but they are way north or way south, completely off the real Las Vegas Strip. 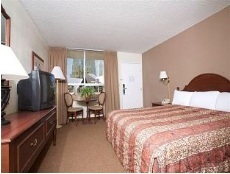 This Travel Lodge is a typical Travel Lodge as far as quality goes, clean, safe, convenient and safe. But it is far from typical as far as location goes. 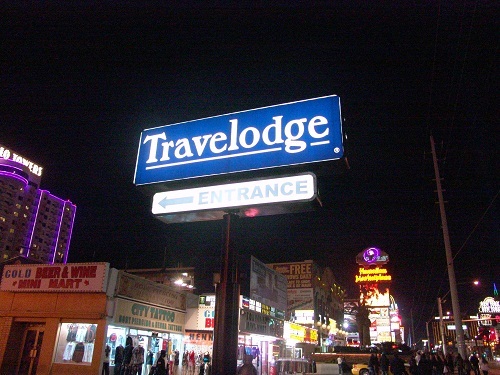 If You stay on the Las Vegas strip at any other hotel, You can actually be 20 minutes from actually walking on the Strip but at this Travel Lodge, You can roll out of bed and fall on the strip. 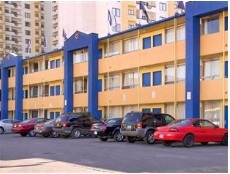 Entrance to the Travel Lodge is between two strip shops. The Picture to the left gives You a very good idea of just how close this Hotel is to the Las Vegas Strip. Just across the street is the CityCenter shopping complex "Crystals" and just north of that is the famous Cosmopolitan Resort. Next door is the famous Harley Davidson Restaurant. 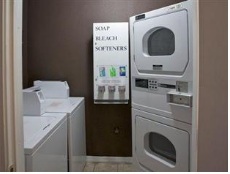 Make no mistake, this is not a luxury hotel, it doesn't claim to be nor does it need to be. 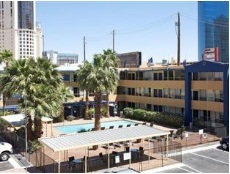 Its more like a frat house, this is for those that are tired of getting a Las Vegas Strip room only to find out that They have to walk for 20 minutes just to get to the front of the property. When You Stay at Travel Lodge Center Strip, You can be on the strip with a 24 oz beer in Your hand in less than one minute. Normally when leaving Your Las Vegas Strip room, You think of bringing all You need for the next 5 hours but if You stay here all You need is what You need in the next 30 minutes. 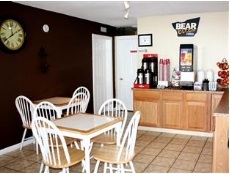 Staying here makes it easy to get back to Your room and drop off shopping items then pick up Your camera and maybe a drink out of Your cooler.